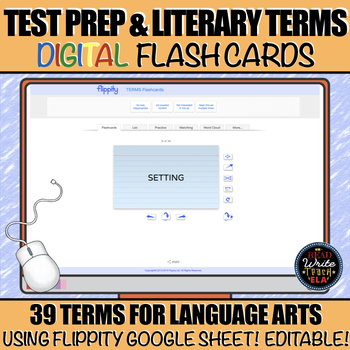 These digital flash cards were made using a Flippity Google Sheet. There are 39 test prep and literary terms for students to practice and review for test prep. - Use flash cards to memorize terms and definitions. - Fill-in the blank practice. - Review a list of the definitions. - Play games provided by Flippity. 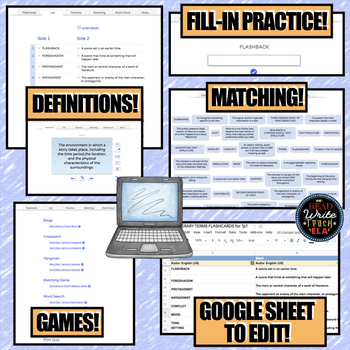 Use these to prepare for a Google Quiz! Click here for that in my store. While Flippity is free to use, this takes the prep away from you as I have provided all the terms and definitions you need!